Manel Sanromà (born 1956) is Ph.D. in Physics (University of Barcelona 1982). He has hold different grants of research in Spain and the United States. Former professor of Physics at the Polytechnic University of Catalunya and Astronomy at the University of Barcelona. Currently he is Full Professor of Applied Mathematics at the University Rovira i Virgili in Tarragona, Spain. In 2007 he obtained a Bachelor Degree in Humanities from the Open University of Catalonia (UOC) and a Master Degree in E-Health from the same University. During the last decade he has shared his teaching at the University with several positions related to IT implementation. From 1999-2001 he was director of the Consortium for the Information Society of the Regional Government of Tarragona. From 2001 to 2004 he was director of the Open Administration of Catalonia, the main E-Government project in Catalonia. From 2005 till 2011 he was the CIO of a Health Services Consortium in Tarragona. Since July 2011 he is the CIO of Barcelona City Council. From that position he has been responsible for the Smart Cities and Innovation programs of the City. 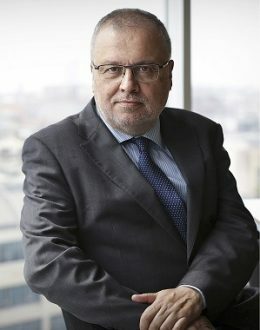 As CIO of Barcelona he has lead the teams that achieved successes such as the City been nominated the 2014 European Innovation Capital by the European Union; the Bloomberg Philantropies Mayors Challenge Award; and the Global Smart City 2015 award by Juniper Research. He has published dozens of articles and several books on its two main activities throughout the years, namely Astronomy and the applications of the Internet. He was the creator of the first Community Network in Spain, TINET (Tarragona InterNET). Between 1999 and 2002 he served as a member of the Board of Directors of the Internet Society (ISOC). In 2001 the national magazine El Mundo included him as one of the most influential Spaniards in the development of the Internet. He is currently Chairman of the City Protocol Society, representing Barcelona. The CPS is an international organization of Cities, Industry and Academia aiming at fostering common and shared solutions in the application of Technology to Cities. He is a member of different scientific and professional associations, among others the International Astronomical Union, the Catalan Society of Mathematics and the Internet Society.